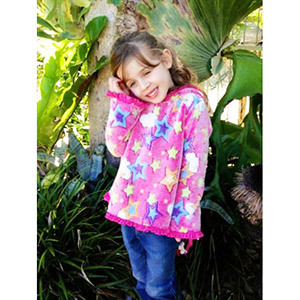 The Pixie Hoodie - PDF pattern is a gorgeous, stylish little jumper for winter. 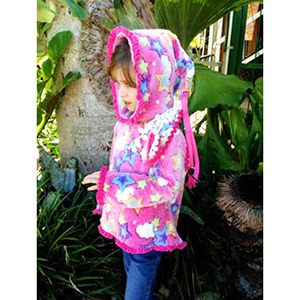 It's made from cosy warm Fleece/Polar Fleece and is super easy to make. 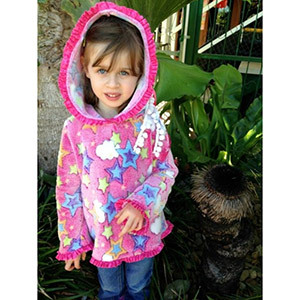 It features a Hoodie with multi-coloured ribbons attached and beautiful frills attached to the sleeves, hoodie and hem. 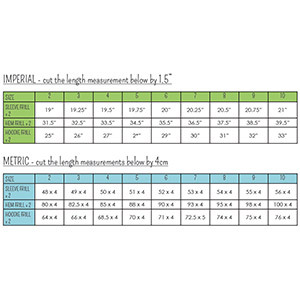 Suggested fabrics are sweatshirt fleece, french terry, ponte de roma, or polar fleece.